Briggs’ team of qualified electricians in Melbourne are passionate about devising and implementing solutions in your home and business to enhance aesthetics, your quality of life, and of course, your safety. Who doesn’t want to feel safe in their own home? Most of us would agree that your home should be a sanctuary; somewhere filled with security, comfort, and pleasure for you and your family. However, the reality is rather bleak. Last year, home burglary stats reveal that there were more than 225,000 home invasions reported in Australia, which is certainly a drab figure. Even more shocking is that 75% of trespassers take less than five minutes to intrude a private space! The good news? It’s possible to protect your home from external threats with Briggs’ expert CCTV and security systems and security lighting solutions. With that in mind, Briggs offers some golden tips to remember while thinking about installing a CCTV security system or sensor lighting. Security lights play a vital role in discouraging any kind of burglary or external intrusion by giving more light to your CCTV cameras. Trespassers usually go for easy targets, which is why security lighting can make a massive impact on deterring their actions. Choosing the right kind of security lighting is crucial, so that it appropriately meets your personal requirements. We offer a wide range of security lighting including motion sensors, sound sensors, panic control, door opening sensors, and more. There are normally two kinds of lights used in security lighting: Infrared (IR) and Visible (White). Infrared lights provide great scope for night vision as they make use of the frequency of light that is not visible to the naked eye, so you cannot see them operate and it also doesn’t disturb your sleeping neighbours. 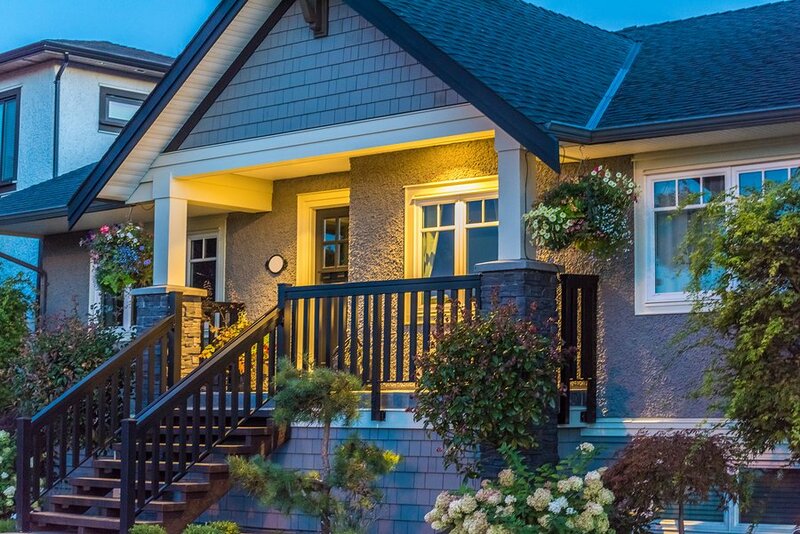 White light is like normal lighting, meaning when a sensor is activated and the light switches on, your potential burglar is scared off by the possibility of a roadblock nearby. Yes, the height matters and understanding the correct height for your sensor or security lighting is key to an effective system. Your potential intruder has the ability to destroy the camera before performing their dirty work. The camera may not be seen. While not a dealbreaker, a visible (but out of reach) camera is sometimes enough to deter a thief. So, finding a balance is important! Normally, the ideal height for sensor and security lighting is about 2.7 metres or 9 feet. 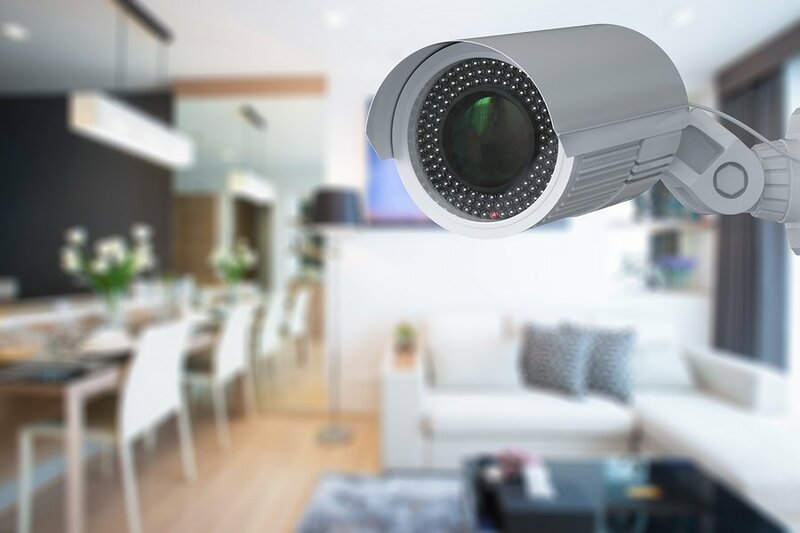 The best suggestion in this case is to reach out to a professional electrical service like Briggs who can offer you the right advice for effective use of your CCTV cameras and sensors. Budgets can certainly be an issue for some of us, especially if you are a small business or a small household who still values safety and security. Most evidently, different sized properties have different requirements and hence varied budgets. In this case as well, we suggest that it is always great to reach out for professional advice in order to ensure you’re getting the best bang for your buck. The great news is that here at Briggs, we offer you a tailor-made program depending on your specific requirements. So, reach out now! It’s not just your lawn that requires maintenance, your outdoor security lighting needs it too. The good thing is that it doesn’t require daily check-ins. All you need to do is make sure the bulbs are in working order and clean. Since they’re outdoors, they’re susceptible to daily elements like dirt and grime, so will require periodic cleaning. The same goes for your cameras. A quick wipe every other month ensures they’re free of debris and can effectively capture clear and high quality video. We know this may sound scary, but the reality is that some intruders will monitor your home before striking, taking note of your usual routine. We understand how hard it can be to change up your routine, so why not set up your security lighting to come on at slightly different times each evening? This gives the illusion of lights being switched on manually, even if you’re not at home! We hope our advice has been helpful so you can make effective use of your security lighting. Here at Briggs, we offer home alarm, home security and CCTV installation services along with sound advice to suit your needs, budget, and property. Remember, there’s no better time than now to boost your home or business security! Call the Briggs Electrical team today to learn more about CCTV installation, to get a quote, or to organise an on-site inspection! Call 1300 300 222 or fill in this form and we will be in touch.